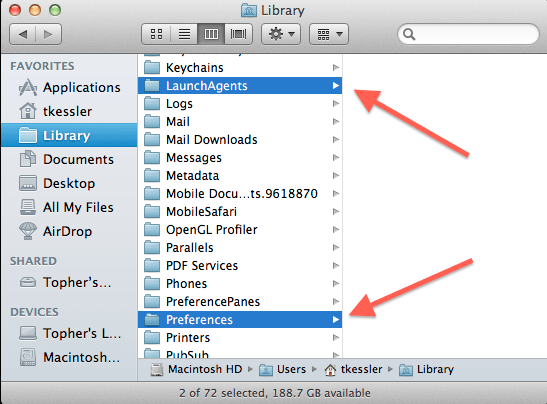 open the LaunchAgents folder and the Preferences folder within the user library. The first document here is the launcher that keeps the process running, and the second is the process itself. Next Next post: Reviewed : iKeyboard – Making typing on the iPad that little bit easier?